Hello! 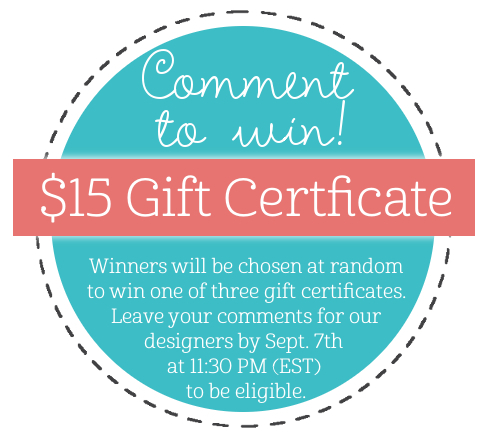 Welcome to Day 2 of the new release at Lil' Inker Designs! 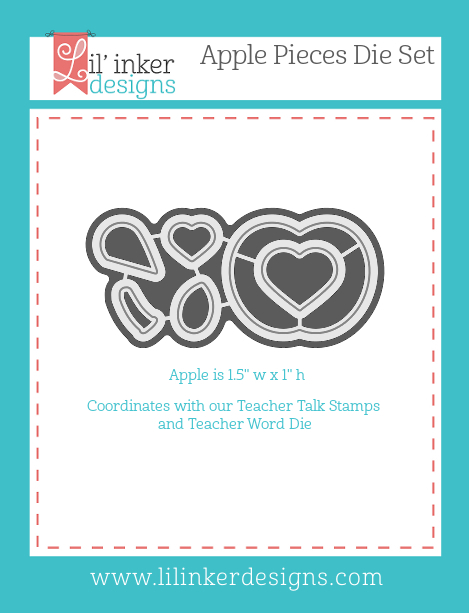 I'm tackling some fun apple inspiration with the new Teacher Talk stamp set today! 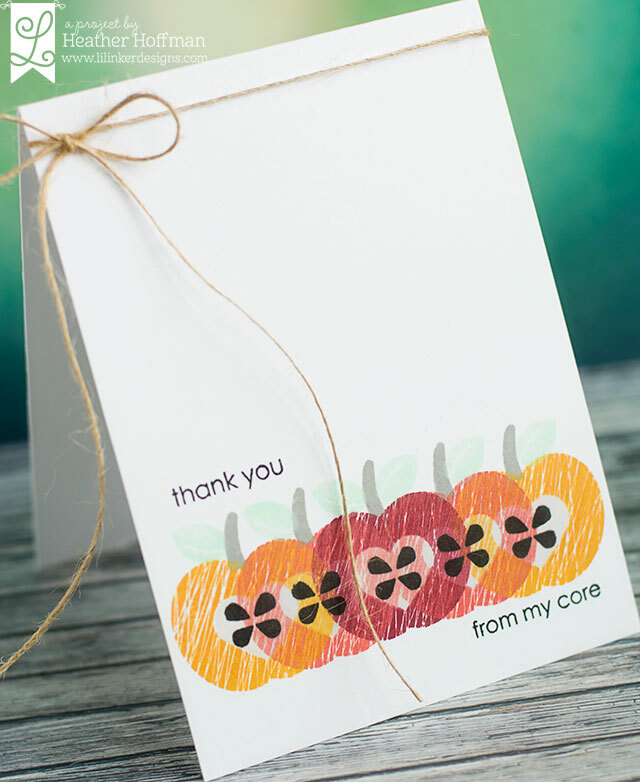 I kept this card super clean and simple - layered the apples all together in a row (LOVE the sketchy look of this design! ), then added stems, leaves, and sentiment. Finished off with a bit of jute twine at the top. Easy! I masked and stamped the sentiment in the center of the apples after die cutting them all out. I layered them together, then mounted with foam adhesive on a rectangle cut with Embossed Dots Rectangle Dies. The background was created with the Quilted Swirl Stitched Pattern Die. This set lends itself so well to creative interpretations, don't you think? LOVE it! Neat cards! I like the sentiment on the first card and I like how you have to read through on the second card. I love those apples!!! Very nice cards! Oh such great new stamps and sweet cards! Fun and unique apple card designs. I LOVE your pretty apple cards! So bright and colorful! Fun and fresh! 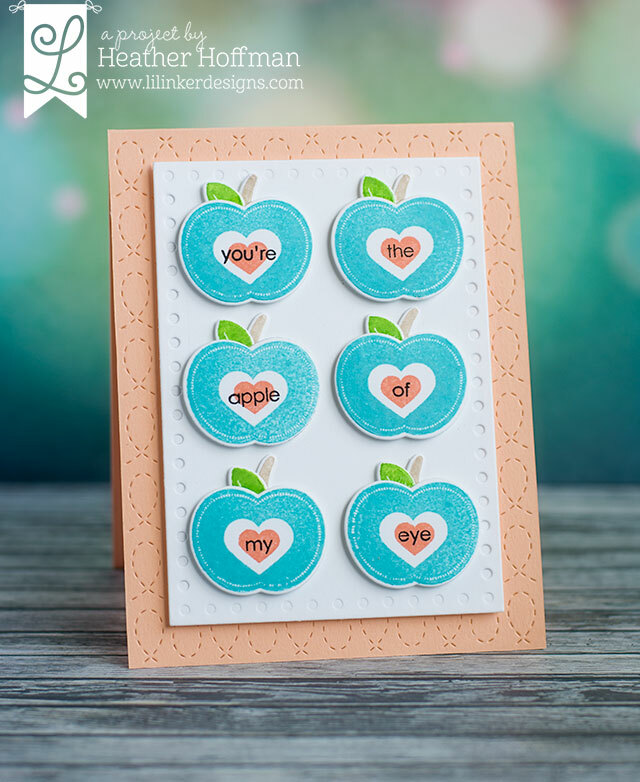 Cute cards - I LOVE the blue apples - fun and funky! 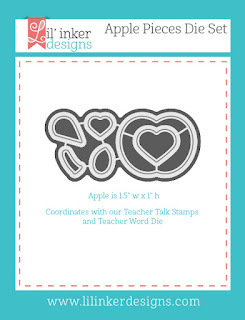 When I saw the apple stamps and dies for the first time yesterday, I thought of how wonderful they would be to encourage a teacher! 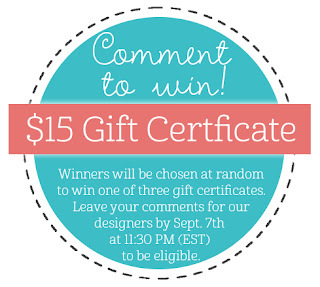 Your design is really sweet, and I love the non-traditional colors you chose. Very nicely done! I love, love your first card is so clean, so beautiful! 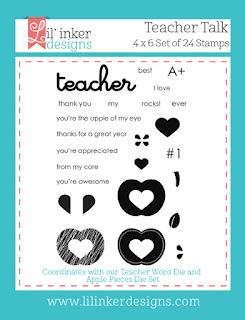 I LOVE the new dies and stamps....I really do want it ALL! Thank you for the wonderful inspiration, too!! Love the apple designs! Great color combos! Such a unique release! 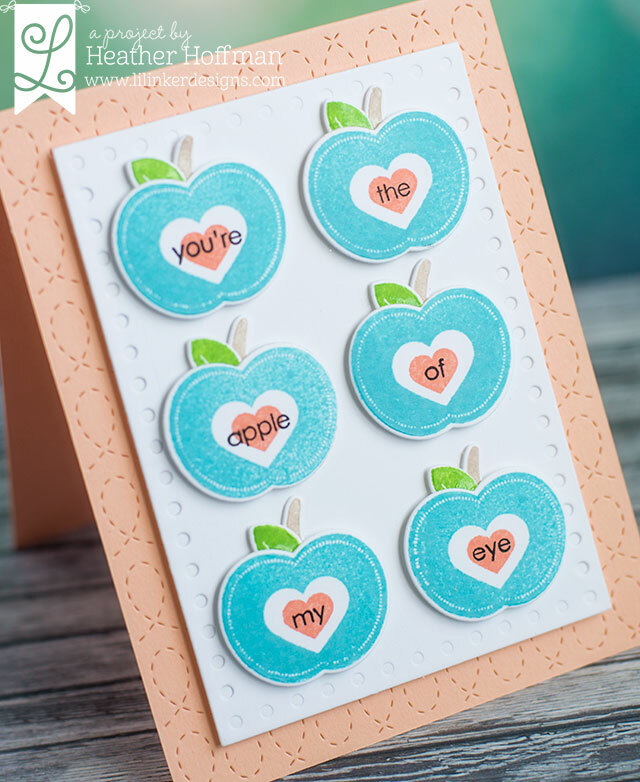 I adore the stitched texture background with these cute sentiment apples in blue, so perfect and the first one is a beautiful graphic one! 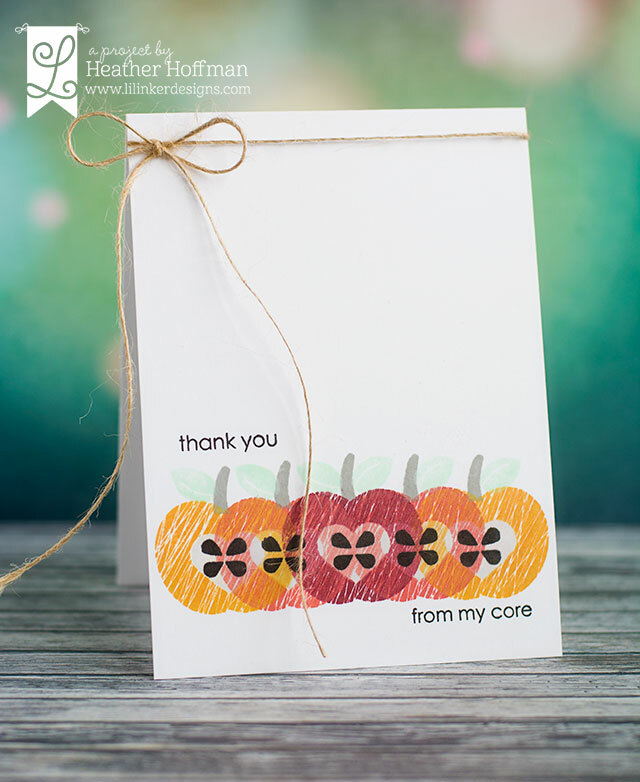 The designs are DELIGHTFUL, LOVE the overlapping apples, LOVE the apples with the words from the sentiment too => THANK YOU for sharing your CLEVER and CREATIVE designs and AWESOME ways to use the CRAFTY DELIGHTS!!! Gorgeous creations! I love the look of the overlapped apples on the first card! Loved the row of apples. A simple card but so pretty. The second card is fun. I love to layer designs. Love these apples so fun! Great Cards! Love the first one and how you layered all the apples together! Great Work, Heather!